This was a character I had made for an RP that didn't keep going for very long. I am now just uploading it here because I had forgotten that I hadn't. ....that's a bit of a blond question, isn't it? Well, it's still really nice!!! Did you draw it on the computer? 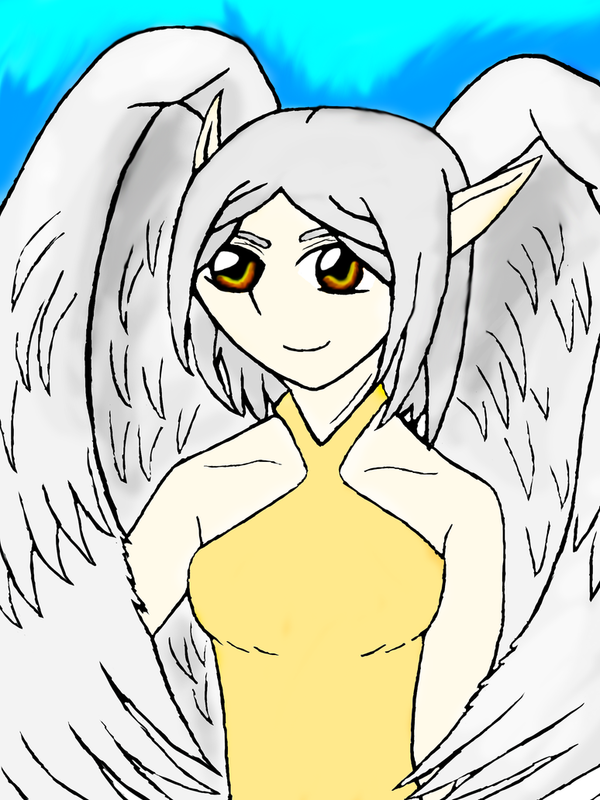 No she is not an angel, she is actually an Avariel Elf. And I drew it on paper and then did what I do on the computer. You're just going to continue to show of those amazing monkey things, ain't ya'? Linky no work for me. Due to the fact my laptop is an idiot and it hates me. Too bad the RP she was in was closed, I liked playing with her. You should write a story with her! Yeeersh! With Duck Knight! 'Cause he's cool. But they don't even live in the same world! Nooooo! Now nothing makes sense!